Zenvo STI 1: Danish Master of Cars! - Muscle Cars Zone! Zenvo STI 1: Danish Master of Cars! It is awesome to have the opportunity to see the Danish master of cars called Zenvo ST1. This Car features a V8 7.0 liter turbocharged and supercharged engine able to produce 1,104 bhp (823kW) and a torque of 1,054 lb-ft (1,430 Nm). The vehicle goes from zero to 62 mph (0-100 km/h) in 3 seconds before achieving the speed of 375 km/h (233 mph). 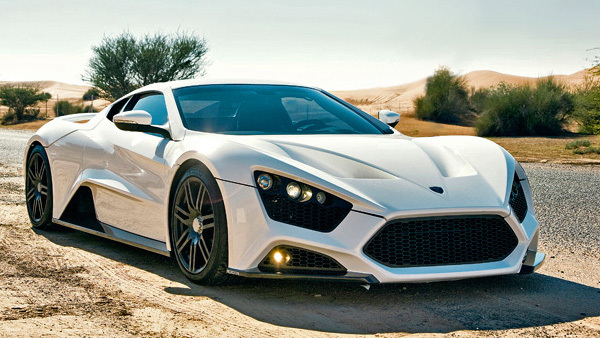 The Zenvo ST1 first appeared in 2008, while in 2011 a new limited-edition Zenvo 50S model appeared. This new model is able to produce 1,250 bhp (932 kW) and a torque of 1,106 lb-ft (1,500 Nm). The maximal velocity remained 233 mph while the zero to 62 mph was less than 3 seconds.